A real puzzling treat! 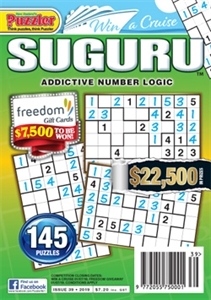 Suguru is a fresh logic-number puzzle like no other. It's a logical challenge that is immensely satisfying to solve and comes in a range of levels of difficulty. At their hardest, these tricky number puzzles can test even the most experienced of solvers.